Listening to that Christmas song yesterday as we decorated our tree, I found myself reflecting on the lyrics: What made those parcels—tucked under our arms, then wrapped in sparkling paper and placed under the tree to twinkle in the reflection of the lights—so special? 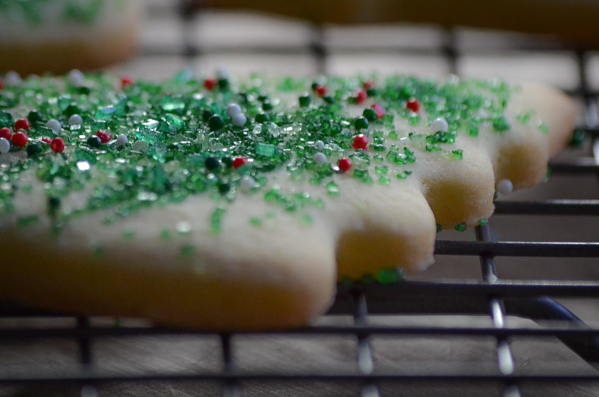 It’s the delicious anticipation of delighting someone you love. 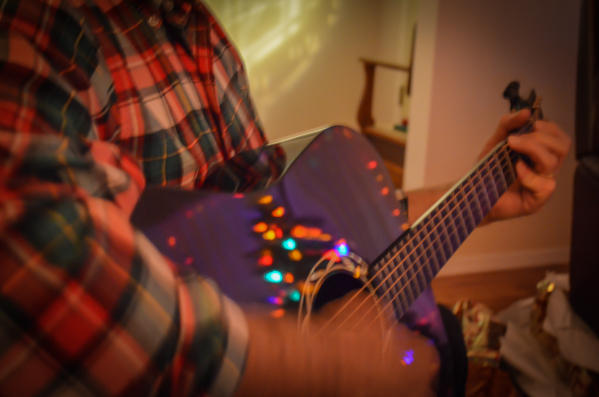 As Rick and I talked about earliest memories, we unearthed a few sweet insights around Christmas gifts. As kids, neither of us remember spending much time developing our consumer muscles. We didn’t regularly hang out in the toy section of department stores, and children back then simply weren’t marketed to nearly as aggressively as they are these days. 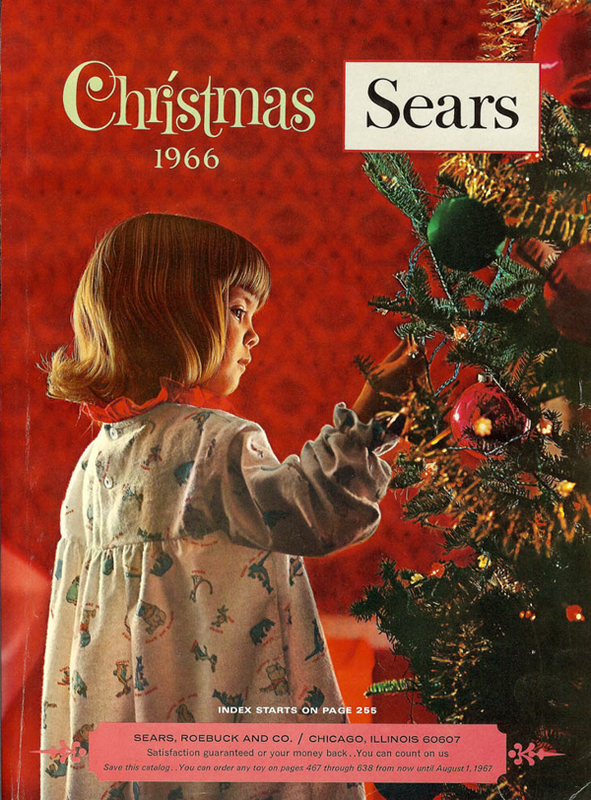 So when the Sears Wish Book appeared a month or so before Christmas, it was the one time of the year we had exposure to the wondrous possibilities of toys and games that could be ours. We spent hours on our bellies in the living room, considering our options, eliminating the non-contenders, then zeroing in on and communicating our favorites with inked circles of desire. Come Christmas morning, we were sometimes surprised with choices we hadn’t even known were available, but once they were unwrapped and ours, filled our hearts and hours with amazed delight. 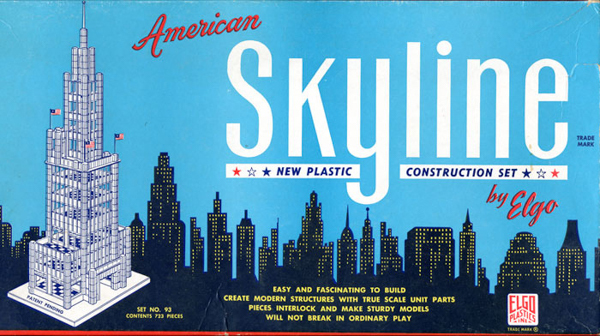 For Rick, the Elgo Skyline Construction Kit was a standout. He remembers being about six or seven years old, well before he knew that plastic interlocking building blocks even existed, or that it would appeal to the designer/builder/puzzle doer in him. For me, my earliest receiver memories are split between a Christmas morning pair of red leather ski boots—WITH BUCKLES!—and a gift I received after seeing them in the catalogue, but not getting until my birthday in mid-January: a pair of bona fide go-go boots. The ski-boots were a hit because a) I hadn’t realized the buckle types were available but immediately recognized the totally cool factor inherent in them, and b) they were a huge vote of bright red leather confidence from my parents in my sporting abilities. And I did go forth and rock the slopes. 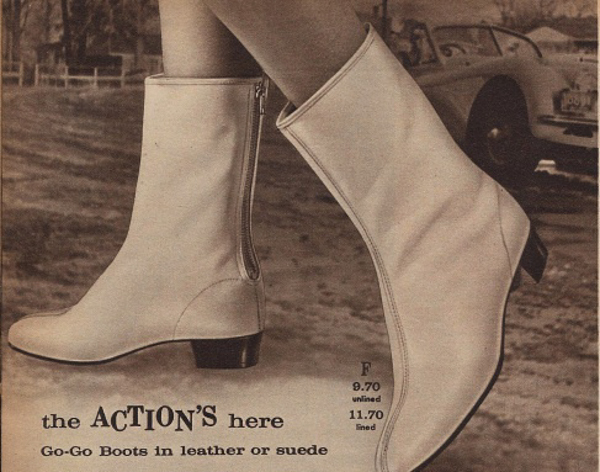 The go-go boots, on the other hand… I would have given my Nancy Sinatra fan club membership card for those boots. And on the morning of my eighth (ninth?) birthday, there they were, all mine. AND my sensible, pragmatic, and always responsible mother permitted me to wear them—unlined, with a slippery sole, in the middle of January, in the snow belt known as Ottawa, Ontario, Canada—to school the next day. For reasons I’ll be happy to go into over a couple of martinis with you some day, my inner artist really needed those boots at that point in my life. The gears shifted for both of us at an early age when we realized we could get as much and more pleasure from giving gifts—both wrapped and not—to our dear ones. Telling those we love by way of gifts that they are both seen and loved is one of the greatest presents that Christmas gives to us all. We don’t get the Sears catalog anymore. I’m sure they’re out there, but I haven’t bought anything from Sears for years, and certainly not by their catalog, so we’re off the list. 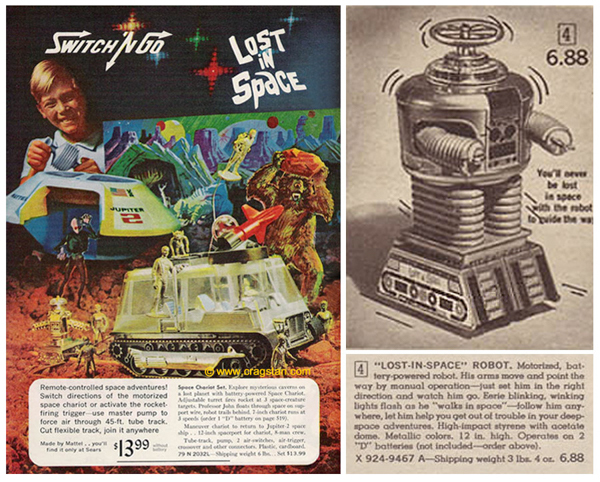 Times change, and now the Sears catalog of our youth is called Amazon Holiday Central. For my inner holiday kid looking to replicate the first Saturday morning after the catalog arrives, belly down on the carpet, it’s one of the best gift stores online. Beautiful memories, and opened the door to my own too and in reflection of such sweet ones too! Thanks! 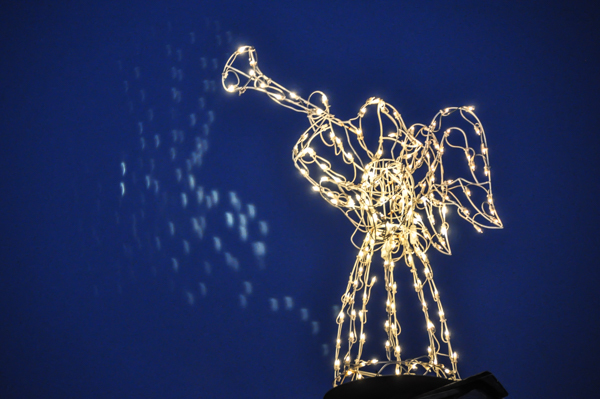 Happy holidays to the both of you and hope to see you to toast in the new year soon! Much love! Pottery Barn and Anthropologie on Black Friday. W0000000! For me, it was an item called a “backpack purse” that is pretty self-explanatory. I have never felt more cool in my life. Can’t wait for the martini stories!